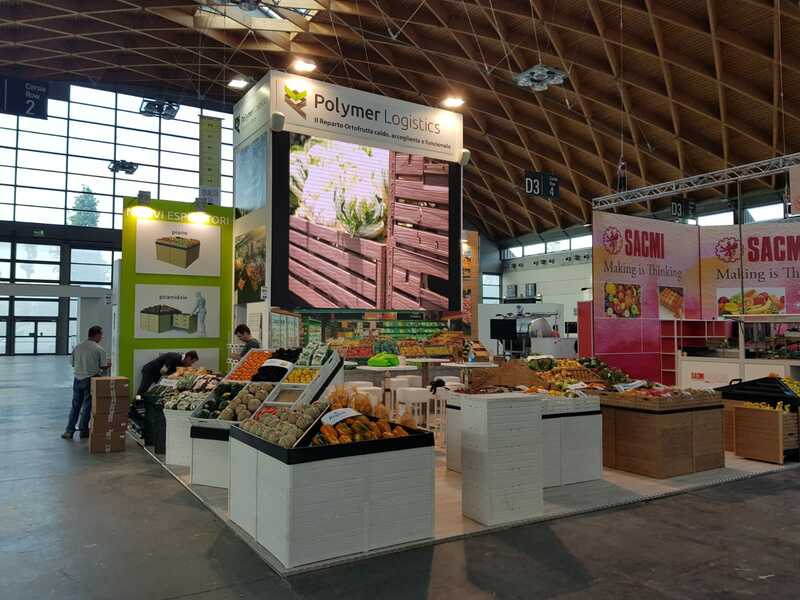 Polymer Logistics, the leading multinational company in the field of logistics and management of reusable exhibition solutions, has chosen this year the innovative Touch Revolution technologies to take part in the 2015 Macfrut fair. 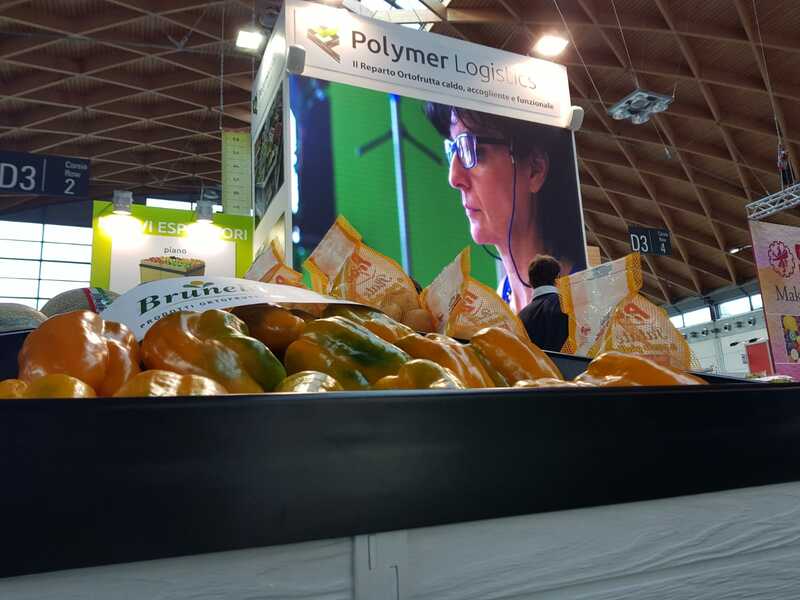 Since 1994, Polymer Logistics offers innovative solutions for retailers all over the world. Well designed, robust and long lasting products. But above all they can be customized by the customers themselves, who select the optimal combination for their business needs. 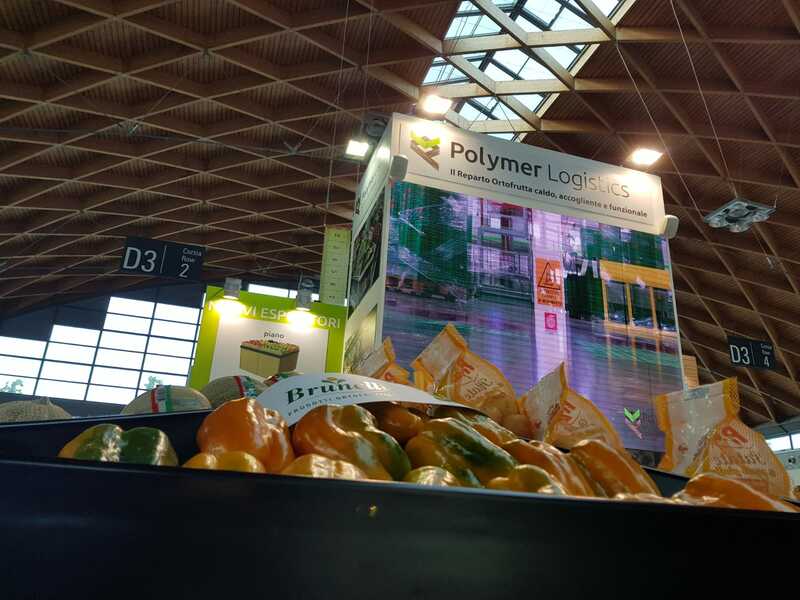 Macfrut 2018 is the reference point nationally and internationally for the fruit and vegetable sector and Touch Revolution has realized, in a central position at the Polymer Logistics stand, a 5x4 meters central technological ledwall that interacted with a tablet; the latter showed a real simulator of composition of the display solutions, giving the possibility even from a distance to see the compositions of the multinational. Touch Revolution, in this project, has realized both the hardware and the software, in order to satisfy the new communication needs of Polymer Logistics. The innovation, made entirely by Touch Revolution, consists in having offered the customer the possibility of building the product suited to his needs. From the shape, to the size, to the color, to the material, allowing the user to be able to view all the possible existing combinations. Once again, Touch Revolution distinguishes itself on the Italian market for its innovative solutions, for its professionalism and above all for its ability to design and implement customized and winning solutions, hardware and software.